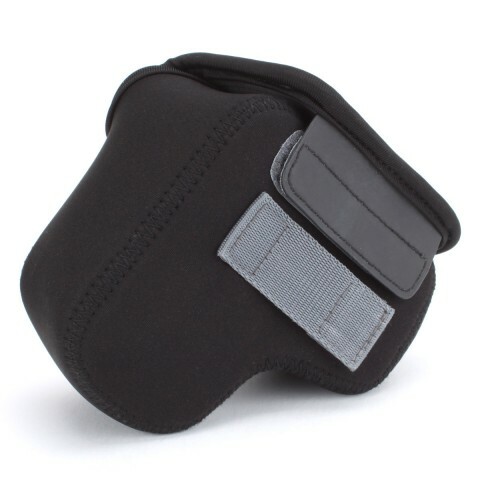 Offering scratch, dust, lens, LCD, and low-impact bump protection, the DuraNeoprene FlexARMOR Digital Camera Cover is a convenient, quick-release case solution for your digital camera. 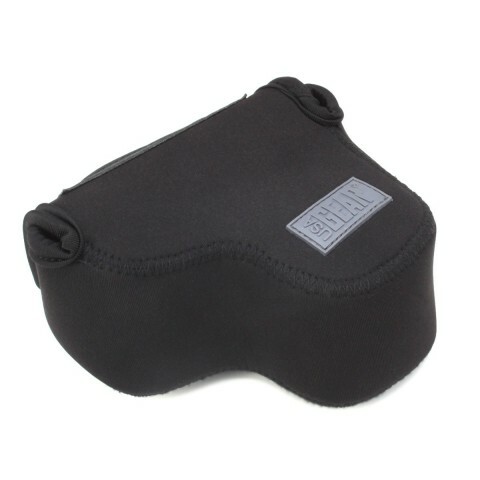 It's great for outdoor shooting when you don't want to carry a large, cumbersome case. 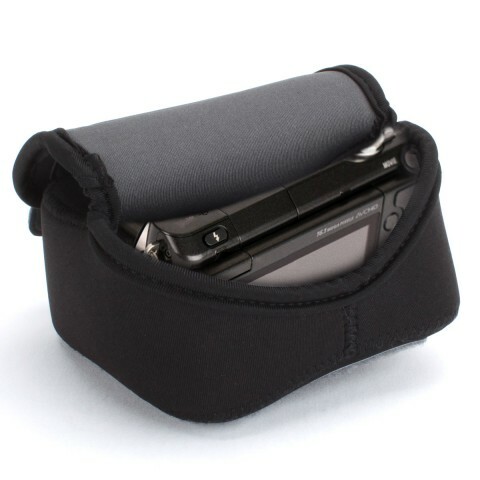 Equipped with quick release Velcro, this case allows you access to your camera in seconds. 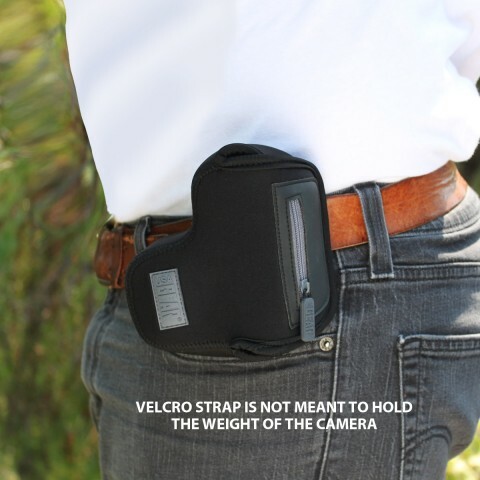 When not in use, carry your camera on your belt loop with the Velcro belt loop strap. Never again travel without your camera right on your hip. You can feel safe about putting your digital camera in your suitcase without a large case to protect it. 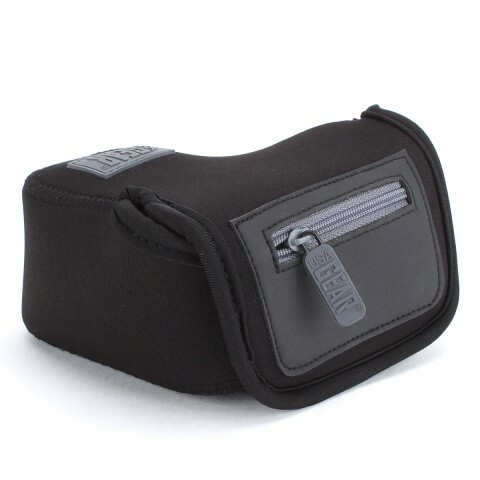 This camera case also works great as a permanent home for your digital camera when it's not in use. Prolong the life and quality of your digital camera by protecting it from dust, scratches and low-impact bumps. 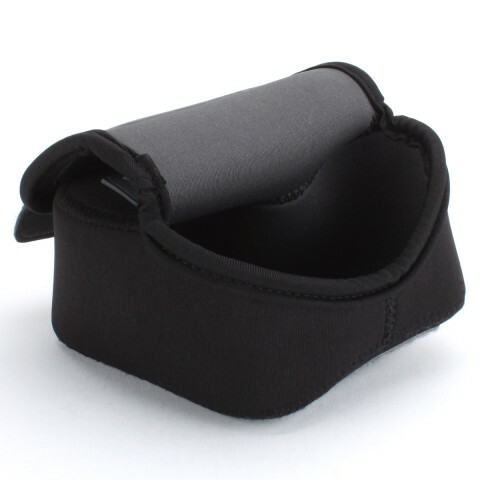 This case is an essential accessory for any digital camera owner; its FLEXIBLE, formfitting design allows it to work with many models and brands listed below. This case also features a outer accessories pockets for small accessories such as cleaning cloths, memory cards, batteries , etc.